The future of Nigeria Captain and Chelsea midfielder John Obi Mikel looks very uncertain, and it seems his days at Stamford Bridge is coming to an end. His agent John Shittu who brokered the move to Chelsea following the saga between the London Club and Manchester United has shot down reports suggesting him leaving Stamford Bridge citing all of such links as rumours. However, the future of the midfielder who have spent 10 years at Chelsea is still under massive speculation without a clear picture of where the Chelsea man should pitch his tenth come next season. Following the announcement of Antonio Conte as new Chelsea Coach in the latter stage of last season, Mikel rejected a new three year deal and decided to wait till summer to make a decision about his future with first team football in mind. Following an £8 million interest from Turkish Giant Bekistas and other suitor’s interested in his services, it could be in Mikel’s best interest to remain at Stamford Bridge amid all the speculation. On this note we highlight some reasons why the Mikel Obi should remain at the club next season. Mikel celebrates first Champions League goal against Sporting Lisbon among the Chelsea elite players. John Obi Mikel has paid a big price in world football and in Nigeria football at large and it is right for him to reap the fruits and the dividends at the moment. A player who was converted from attacking midfield position to a defensive midfield player under Coach Jose Mourinho at Chelsea in 2006 have been a long serving player for the club along side John Terry and Branislav Ivanovic and with the aforementioned staying put at the club, it will be nice for Mikel to bury the hatchet and settled down at the club which have fetched him glory in the UEFA Champions league in 2012 and some other trophy with 2015 Premier League crown a worthy of note. There is need for Mikel to remain at Chelsea alongside Cesc Fabregas, Gary Cahill, William and star player Eden Hazard as his presence around the Chelsea bunch will endear him with massive recognition and possible limelight. A further stay at Chelsea will enable Mikel remain among there elite as the pre-season approaches in earnest. John Obi Mikel’s place might be under scrutiny if he leaves Stamford Bridge (Chelsea) to less teams like Beşiktaş or to the Chinese Super League. The midfielder who is fond of missing international friendlies for some reasons best known to him was absent once again when the Super Eagles took on Mali and Luxembourg in an international friendly in May this year. In his absence players like Alex Iwobi, Oghenekaro Etebo was outstanding showing what they could do in Mikel’s absence in the midfield position. With Alex Iwobi basking on the euphoria of his uncle Austin Jay-Jay Okocha coupled with his performance on Arsenal shirt week in week out there is possibility that Mikel might be eclipsed by these youngsters in Nigeria’s midfield. With Mikel and Vice Captain Ahmed Musa missing from both friendlies a certain player took the Number 10 shirt (Kelechi Iheanacho) and delivered two goals in 2 games with some assists to his name in those friendlies and with a move to a less team Mikel might find himself behind bar as Kelechi Iheanacho and Alex Iwobi are beginning to enhance their reputation at Manchester City and Arsenal respectively at such a young age with Nigerians all watching with their eyes open as their promising carrier unfolds. John Obi Mikel must remain at Chelsea or seek possible move to a top side like Juventus or PSG who are looking for experience in midfield but leaving Chelsea to a less team is what Mikel Obi must guard against as his reputation at club level is at stake. Mikel commands respect of his Nigerian team mates who some see him as their role model (Nosa Igiebor) as Mikel plies his trade in a bigger club than them. Imagine what will happen to Mikel’s pedigrees in the National team if the reverse is the case. Ogenyi Onazi spoke on Channel TV at Sports tonight before his marriage about his relationship with Mikel. The Lazio man said so many positives about Mikel citing that in his early days in the National team that Mikel usually buy him a new boot and other sports wear/kits from London whenever there is Super Eagles get together and that Mikel is a wonderful personality you always want to be with it. Such gestures/generosity can only be done when you are there above the rest and not when you are moving to Turkey or lesser clubs in Spain. So Mikel need to take a clue and guide his reputation and profile as the Captain of the Super Eagles of Nigeria. John obi Mikel clinching the Champions League medal alongside Meireles, Kalou and Veteran Frank Lampard. The Chelsea man may have won the Premier League and Champions League at Chelsea but there is no denying the fact what Antonio Conte’s Chelsea team can achieve going forward with players like Eden Hazard, William and Cesc Fabregas irrespective of competition from some top sides (Arsenal, Liverpool and company) in the English League. A further stay in the London Club can afford the Chelsea veteran (29) more chance to add to his laurel at Stamford Bridge. 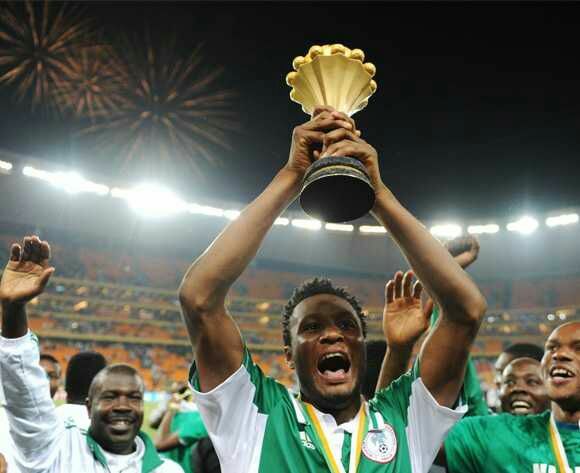 Players like legendary Samuel Eto’O and compatriot Nwankwo Kanu have achieved a lot both at club level and for their countries and Mikel can be able to match them or possibly stand above the rest if he stays longer at Chelsea as Antonio Conte’s reign at the club looks promising by the day.